This Weekly Class Attendance Report template allows student attendance to be recorded over any week of the year for a particular group or class. 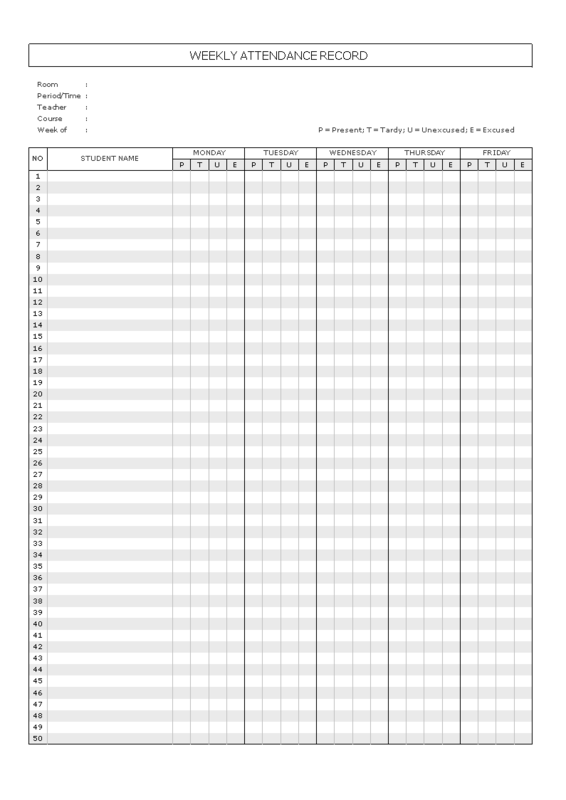 If you want to analyze your students attendance record then this template is for you. Not only is it great for recording weekly attendance but it will automatically apply some simple statistics on the attendance data. To be able to quickly identify what days of the week your lessons are well attended, allows you to better plan your classroom activities and resources. Now we provide this standardized Weekly Class Attendance Report template with text and formatting to help you finish your document faster. If time or quality is of the essence, this ready-made template can help you to save time and to focus on what really matters! Download this Weekly Class Attendance Report template now for your own benefit now!